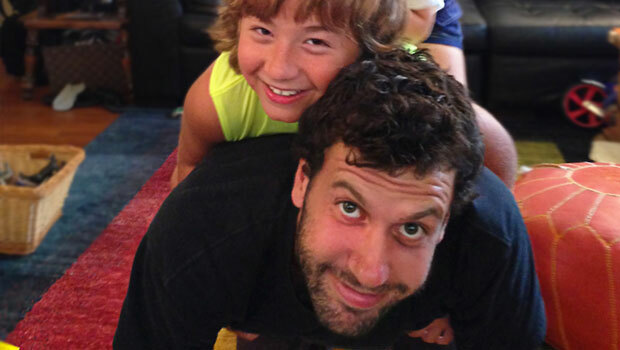 Robert F. from the United Kingdom is au pair in New York, USA. In addition, there is usually a “hidden language” in children’s misbehavior: They are trying to tell you something! Kyle may be throwing his toys because he misses his Daddy. Hannah might push her sister because she is frustrated with a game. If you can discover the message behind misbehavior and show the child that you understand how they feel, it will help to stop the misbehavior. Encourage children to use their words to show how they feel. Older children can also write about their feelings, and children of all ages enjoy using art to show what they are feeling. Lastly, children may misbehave because they don’t understand what kind of behavior is expected of them. House rules and adult expectations need to be clear. Violent or aggressive behavior should be addressed quickly and firmly, but respond with concern instead of anger. Explain how hitting (or biting or kicking) hurts people. Usually, by the time they reach school age, most children have outgrown physical aggression, because they can express their feelings without using violence. If a school-age child in your house continues to exhibit violent behavior, talk to your host parents. Sometimes, violence in school-age children is a sign of serious stress. DO NOT, under any circumstances, physically discipline a child. Hitting, pushing, spanking, or other methods of physical punishment may result in the termination of your au pair program. Below you’ll find a few methods of discipline that you might find useful. Sitting down with a child and writing a behavior contract can be an effective method of discipline. Children like the “grown up” qualities of the contract. First, discuss the behavior problem. Then, decide on a reward with the child - maybe a trip to the ice cream shop. A contract might read: “I, Jason, agree to keep my room clean. I understand that, if I can keep my room clean for two weeks, we will have an ice cream sundae party.” The child should sign the contract to make it official. This is a simple arrangement that means a child may do what they want to do after they do what they are supposed to do. For example: “After you do your homework, you can watch television,” or “When you clean up your room, you can go play outside.” Avoid using “if” with Grandmother’s rule, because it may encourage the child to ask, “What if I don’t clean my room?” Keep it positive for best results. If a child misbehaves, give them a warning that they will have time out if they do not change the behavior. If the behavior does not change, tell the child they have time out. Time out means they have to sit quietly for several minutes. The length of time out depends on the age of the child: As a rule, the minutes spent in time out should not exceed the child’s age in years. The time out does not need to be very long to be effective. You can send the child to his room, but it is easier to have the child sit apart from the play area. Don’t confine the child in a room against his will. Other children should not talk or interact with the child while he is in time out — this is his quiet time to calm down. Time out loses its effectiveness for children older than about seven. Also, it is important not to overuse time out, or else it may become less effective. When disciplining children, remember the letters ACT. They will help you to use discipline effectively. Develop a secret signal (like touching your nose) or a secret word (“Waffles!”) to use with the children in public when their behavior is not acceptable. This method may not work if a child is very excited or playing with several friends, but may help them to self-correct their behavior around adults. This can be an effective method of discipline for school-age children. Talk to your host parents before revoking privileges, such as television or video games. In addition to these methods, your host parents can tell you what methods of discipline they use, and what really works with their children. Every family is different. It is very important that you never use physical discipline. Whenever you use discipline, avoid getting angry. Anger will make it more difficult to think and to make decisions. If you need to, take a few moments away from the child to collect your thoughts and to relax for a minute. If you yell a lot at the children, they will learn to ignore you, and it will not help you to control the situation.